Joseph R Kauffman, D.C., is a chiropractor located in Atlanta, GA. Techniques: • Thompson • Diversified • Activator Methods • Flexion-Distraction • Trigger Point Therapy Take the next step and contact Dr. Joseph R Kauffman, D.C., for a consultation in Atlanta, GA or to get more information. Max Rapkin, D.C., is a chiropractor located in Atlanta, GA. Techniques: • Directional Non-Force Technique Take the next step and contact Dr. Max Rapkin, D.C., for a consultation in Atlanta, GA or to get more information. Kristy Franzavilla, D.C., is a chiropractor located in Atlanta, GA. Take the next step and contact Dr. Kristy Franzavilla, D.C., for a consultation in Atlanta, GA or to get more information. Daryl C Schleifer, D.C., is a chiropractor located in Atlanta, GA. Techniques: • Activator Methods • Diversified Take the next step and contact Dr. Daryl C Schleifer, D.C., for a consultation in Atlanta, GA or to get more information. Thomas Voyda, D.C., is a chiropractor located in Atlanta, GA. Take the next step and contact Dr. Thomas Voyda, D.C., for a consultation in Atlanta, GA or to get more information. Vickie Eng, D.C., is a chiropractor located in Atlanta, GA. Take the next step and contact Dr. Vickie Eng, D.C., for a consultation in Atlanta, GA or to get more information. Timothy P Kelly, D.C., is a chiropractor located in Atlanta, GA. Techniques: • Applied Kinesiology • Neural Organization Technique • Neuro Emotional Technique • Sacro Occipital Technique • Lebowitz • Brimhall Take the next step and contact Dr. Timothy P Kelly, D.C., for a consultation in Atlanta, GA or to get more information. Robert B Stolz, D.C., is a chiropractor located in Atlanta, GA. Techniques: • Chiropractic Biophysics • Grostic Take the next step and contact Dr. Robert B Stolz, D.C., for a consultation in Atlanta, GA or to get more information. Mark Lentchner, D.C., is a chiropractor located in Atlanta, GA. Techniques: • Atlas Orthogonal • Upper Cervical • Activator Methods • Sweat Take the next step and contact Dr. Mark Lentchner, D.C., for a consultation in Atlanta, GA or to get more information. Isaac Farbman, D.C., is a chiropractor located in Atlanta, GA. Techniques: • Sacro Occipital Technique • Thompson • Activator Methods • Diversified Take the next step and contact Dr. Isaac Farbman, D.C., for a consultation in Atlanta, GA or to get more information. Mona Powell, D.C., is a chiropractor located in Atlanta, GA. Take the next step and contact Dr. Mona Powell, D.C., for a consultation in Atlanta, GA or to get more information. Alan R Katz, D.C., is a chiropractor located in Atlanta, GA. Techniques: • Network Take the next step and contact Dr. Alan R Katz, D.C., for a consultation in Atlanta, GA or to get more information. Nicole M Mills, D.C., is a chiropractor located in Atlanta, GA. Take the next step and contact Dr. Nicole M Mills, D.C., for a consultation in Atlanta, GA or to get more information. Edward M Bateson, D.C., is a chiropractor located in Atlanta, GA. Techniques: • Meric • Thompson • Activator Methods Take the next step and contact Dr. Edward M Bateson, D.C., for a consultation in Atlanta, GA or to get more information. 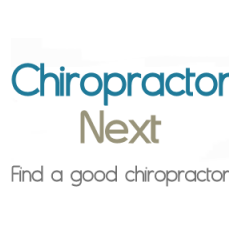 Roy W Sweat, D.C., is a chiropractor located in Atlanta, GA. Take the next step and contact Dr. Roy W Sweat, D.C., for a consultation in Atlanta, GA or to get more information. William K Hovis, D.C., is a chiropractor located in Atlanta, GA. Take the next step and contact Dr. William K Hovis, D.C., for a consultation in Atlanta, GA or to get more information. Roger Hinson, D.C., is a chiropractor located in Atlanta, GA. Techniques: • Grostic • Upper Cervical • Atlas Orthogonal Take the next step and contact Dr. Roger Hinson, D.C., for a consultation in Atlanta, GA or to get more information. William Troutman Sr, D.C., is a chiropractor located in Atlanta, GA. Take the next step and contact Dr. William Troutman Sr, D.C., for a consultation in Atlanta, GA or to get more information. Bradford Pizza, D.C., is a chiropractor located in Atlanta, GA. Take the next step and contact Dr. Bradford Pizza, D.C., for a consultation in Atlanta, GA or to get more information. Jonathan Jenei, D.C., is a chiropractor located in Atlanta, GA. Take the next step and contact Dr. Jonathan Jenei, D.C., for a consultation in Atlanta, GA or to get more information. Mimi A Deitch, D.C., is a chiropractor located in Atlanta, GA. Techniques: • Diversified • Chiropractic Biophysics • Activator Methods Take the next step and contact Dr. Mimi A Deitch, D.C., for a consultation in Atlanta, GA or to get more information. O'Hara L McKenna, D.C., is a chiropractor located in Atlanta, GA. Techniques: • Diversified • Activator Methods • Thompson • Pierce • Sacro Occipital Technique • Traction Take the next step and contact Dr. O'Hara L McKenna, D.C., for a consultation in Atlanta, GA or to get more information. Carolyne L Woods, D.C., is a chiropractor located in Atlanta, GA. Techniques: • Activator Methods • Diversified • Manual Adjusting • Thompson Take the next step and contact Dr. Carolyne L Woods, D.C., for a consultation in Atlanta, GA or to get more information. James T Murphy, D.C., is a chiropractor located in Atlanta, GA. Techniques: • Diversified • Applied Kinesiology • Manual Adjusting • Thompson • Traction • Activator Methods Take the next step and contact Dr. James T Murphy, D.C., for a consultation in Atlanta, GA or to get more information. Michael T Hortman, D.C., is a chiropractor located in Atlanta, GA. Take the next step and contact Dr. Michael T Hortman, D.C., for a consultation in Atlanta, GA or to get more information. Dennis Scales, D.C., is a chiropractor located in Atlanta, GA. Take the next step and contact Dr. Dennis Scales, D.C., for a consultation in Atlanta, GA or to get more information. Ronda R. Crider, D.C., is a chiropractor located in Atlanta, GA. Techniques: • Activator Methods • NUCCA Take the next step and contact Dr. Ronda R. Crider, D.C., for a consultation in Atlanta, GA or to get more information. Adam Rechtman, D.C., is a chiropractor located in Atlanta, GA. Take the next step and contact Dr. Adam Rechtman, D.C., for a consultation in Atlanta, GA or to get more information. John Kennedy, D.C., is a chiropractor located in Atlanta, GA. Techniques: • Thompson • Hole in One • Leander • Flexion-Distraction Take the next step and contact Dr. John Kennedy, D.C., for a consultation in Atlanta, GA or to get more information. Theresa G Snipe, D.C., is a chiropractor located in Atlanta, GA. Techniques: • Activator Methods • Nimmo Take the next step and contact Dr. Theresa G Snipe, D.C., for a consultation in Atlanta, GA or to get more information. Jody M Hortman, D.C., is a chiropractor located in Atlanta, GA. Take the next step and contact Dr. Jody M Hortman, D.C., for a consultation in Atlanta, GA or to get more information. Michael A. Cone, D.C., is a chiropractor located in Atlanta, GA. Techniques: • Diversified • Thompson • Sacro Occipital Technique • Activator Methods • Cox • Motion Analysis (Palpation) • Spinal Decompression Take the next step and contact Dr. Michael A. Cone, D.C., for a consultation in Atlanta, GA or to get more information. Mark Deitch, D.C., is a chiropractor located in Atlanta, GA. Techniques: • Diversified • Chiropractic Biophysics • Activator Methods Take the next step and contact Dr. Mark Deitch, D.C., for a consultation in Atlanta, GA or to get more information. Nicholas Carlisle, D.C., is a chiropractor located in Atlanta, GA. Techniques: • Coupled Reduction • Diversified Take the next step and contact Dr. Nicholas Carlisle, D.C., for a consultation in Atlanta, GA or to get more information. Clayton E Bell, D.C., is a chiropractor located in Atlanta, GA. Take the next step and contact Dr. Clayton E Bell, D.C., for a consultation in Atlanta, GA or to get more information. Robert W Toth, D.C., is a chiropractor located in Atlanta, GA. Take the next step and contact Dr. Robert W Toth, D.C., for a consultation in Atlanta, GA or to get more information. Lee Hammer, D.C., is a chiropractor located in Atlanta, GA. Techniques: • Sacro Occipital Technique Take the next step and contact Dr. Lee Hammer, D.C., for a consultation in Atlanta, GA or to get more information. Dale E Enix, D.C., is a chiropractor located in Atlanta, GA. Techniques: • Diversified • Activator Methods • Flexion-Distraction • Logan Basic • Thompson • Trigger Point Therapy • Massage • Rehab Take the next step and contact Dr. Dale E Enix, D.C., for a consultation in Atlanta, GA or to get more information. Lynda Bribach, D.C., is a chiropractor located in Atlanta, GA. Take the next step and contact Dr. Lynda Bribach, D.C., for a consultation in Atlanta, GA or to get more information. Salih Abdul Baaith, D.C., is a chiropractor located in Atlanta, GA. Take the next step and contact Dr. Salih Abdul Baaith, D.C., for a consultation in Atlanta, GA or to get more information. Richard Spiezer, D.C., is a chiropractor located in Atlanta, GA. Techniques: • Gonstead • Cox Take the next step and contact Dr. Richard Spiezer, D.C., for a consultation in Atlanta, GA or to get more information. Dean DeForest, D.C., is a chiropractor located in Atlanta, GA. Techniques: • Thompson • Activator Methods Take the next step and contact Dr. Dean DeForest, D.C., for a consultation in Atlanta, GA or to get more information. Mark Klein, D.C., is a chiropractor located in Atlanta, GA. Take the next step and contact Dr. Mark Klein, D.C., for a consultation in Atlanta, GA or to get more information.